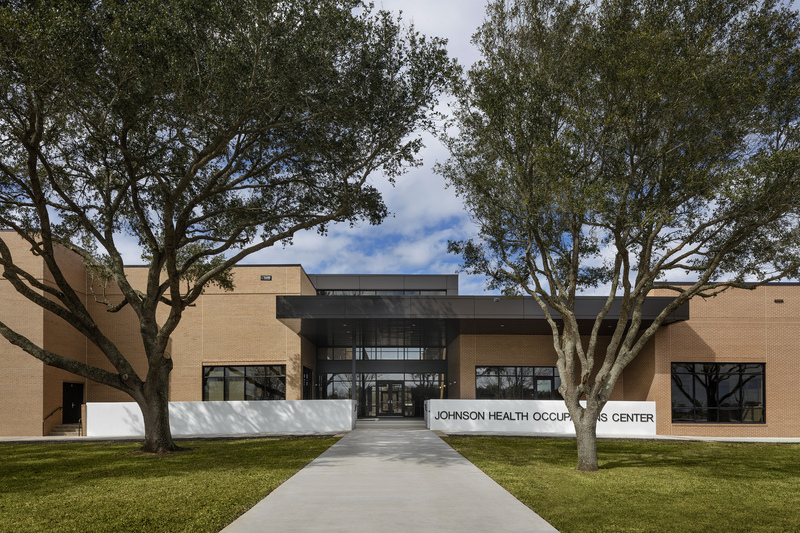 Expanding to keep up with one of the fastest growing counties, Wharton County Junior College (WCJC) needed to renovate and expand the WCJC Technical Wing at the Richmond Campus. 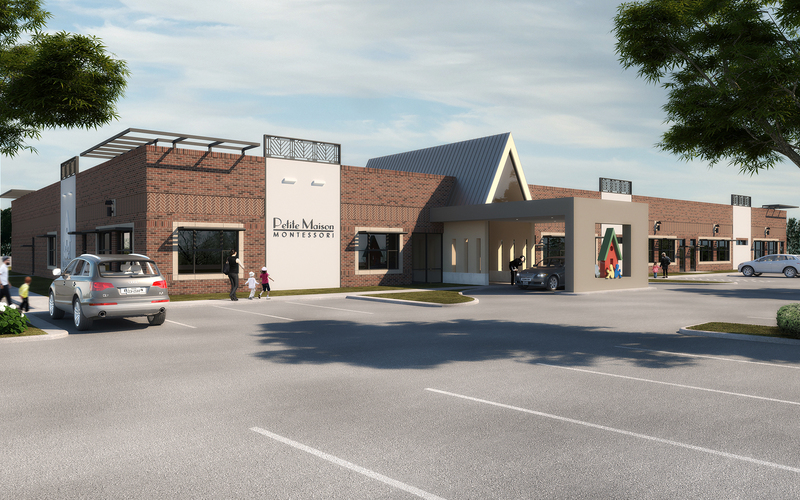 This 1.7 million dollar project included the addition of 3,600 square feet to the existing 12,600 square foot building. The Process Technology (PTAC) program expanded into approximately half of the existing building, adding classrooms, labs, and space for two new indoor skids. 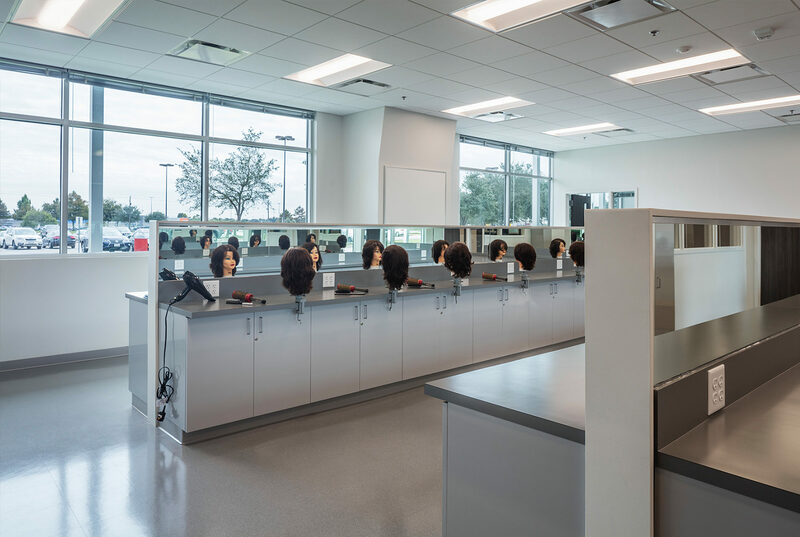 The new Cosmetology program took over the remaining space in the existing building and the new 3,600 square foot addition. The existing building was re-clad to integrate seamlessly with the new architecture. 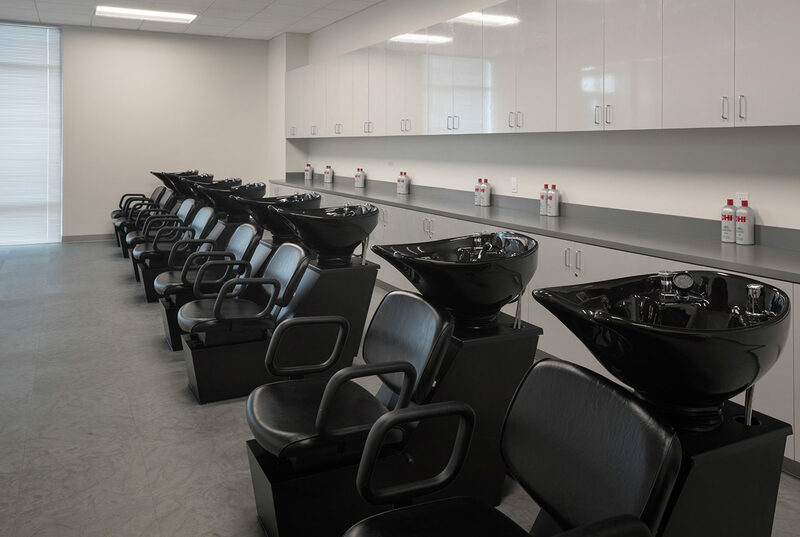 Open to the public for salon treatments, the new Cosmetology program took over approximately 6,000 square feet in the existing building and the new 3,600 square foot addition. 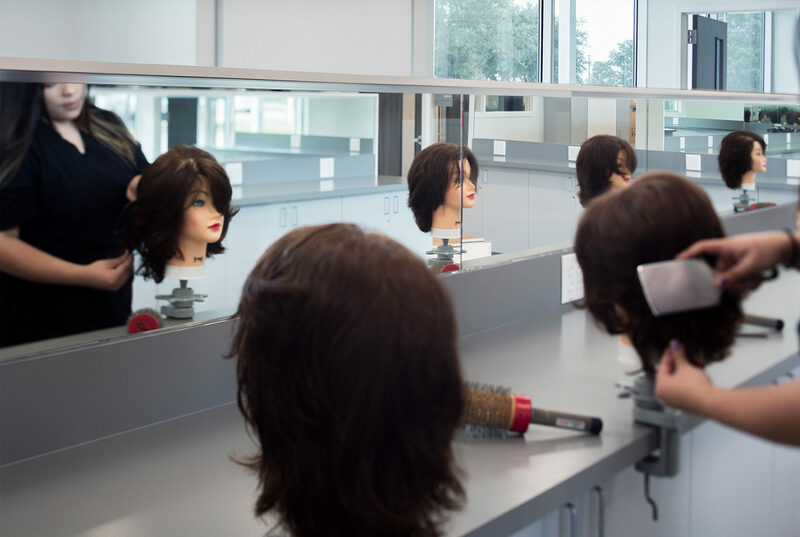 The Cosmetology program space includes a hair and nail salon area, a facial room, and hair washing stations, as well as classrooms. 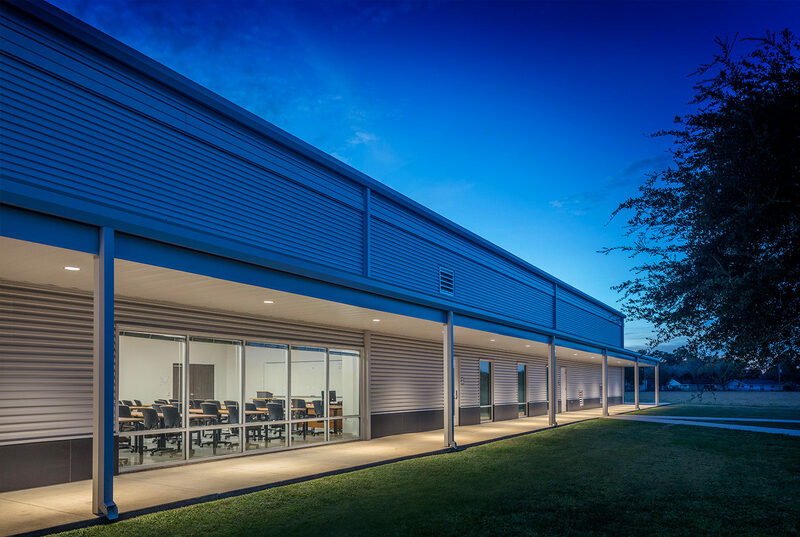 To create a seamless appearance, new horizontal metal panels cover the exterior of both the existing building and the addition. The new canopy allows the tech wing to connect into the existing two-story main building. 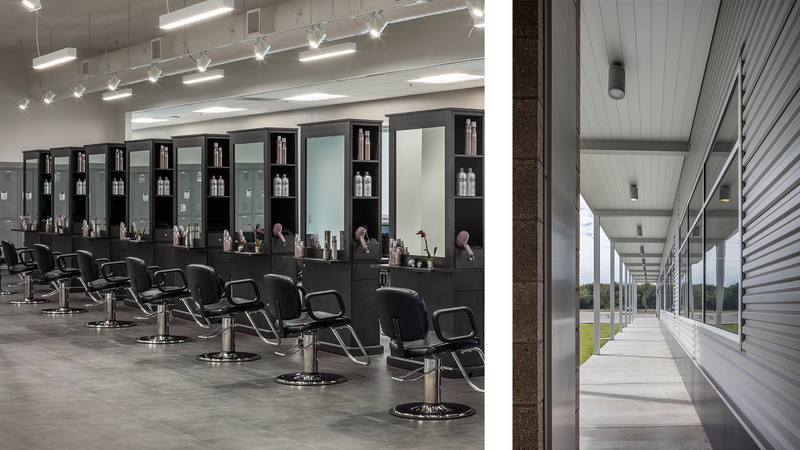 The interior was completely renovated to transform from vocational, raw “shop” areas, to a new, refined collection of spaces with new finishes, lighting, electrical, and HVAC. 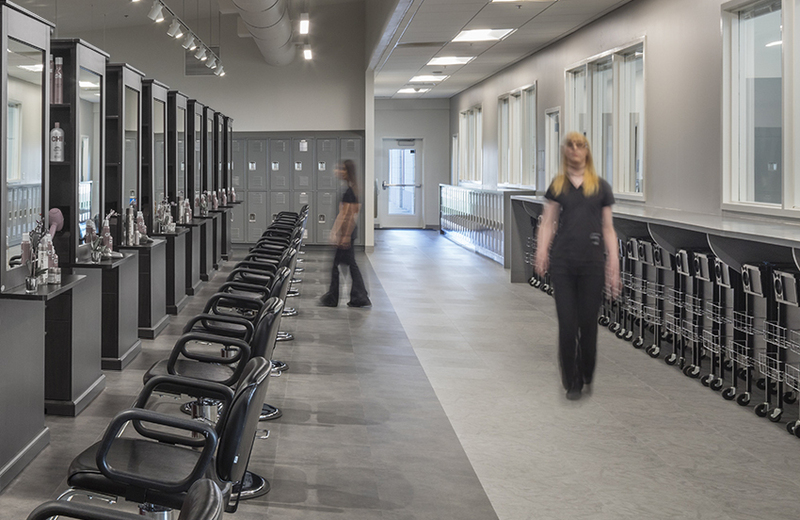 The retail front of the Cosmetology salon was designed with the public in mind. The new storefront style windows create a connection to the public, as well as allow natural light to illuminate the interior spaces.